This original story first published at Nofibs. The leaders of France and the Philippines issued an ambituous call from Manila for a global climate deal in Paris at the end of 2015. 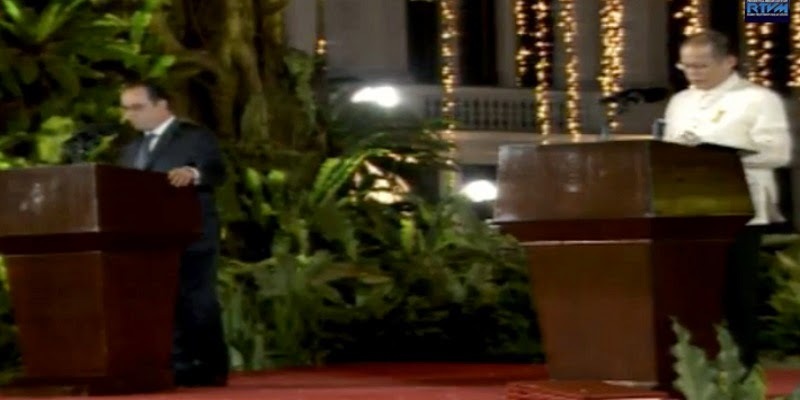 The President of France François Hollande (@fhollande) and President of the Philippines Benigno S. Aquino III issued the Manila call to action on climate change on 26 February 2015. The statement calls on nations to step up for an ambitious and fair agreement based on climate science to be concluded at the UNFCCC climate talks, the 21st Conference of the Parties (COP21), scheduled for Paris in December 2015. We need an agreement negotiated and accepted by everyone and for everyone, an agreement that takes all differences in situations into account, and aims at bridging varying perspectives to hasten collective action. We need an agreement that reduces emissions, creates economic opportunities and equips us to manage the associated risks that are already locked in the foreseeable future. President Aquino said, "Our Manila Call to Action on Climate Change represents solidarity in action. We are hopeful that this joint call will help us gain momentum for a truly global initiative to address climate change." 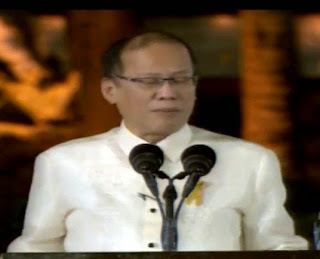 Aquino highlighted the severe typhoons and tropical storms that have recently struck the Philippines causing immense destruction and loss of life. These include torrential rain associated with La Nina in 2011, two typhoons that struck the Island of Luzon in 2011, tropical storm Washi in 2011, Typhoon Bopha in December 2012, and super Typhoon Usagi and super Typhoon Haiyan in November 2013, to name but a few. "No longer can we be paralyzed by debates over the obligations of individual countries; all of us must do everything we can, in the quickest and most impactful way possible. The choice before us is clear. We can either overcome this problem together, or together reap the consequences of apathy." said Aquino. "For this reason, it is incumbent upon us to conclude a universal climate change agreement in Paris later this year: one that is ambitious; that is guided by science, and that allows developing countries to pursue their economic goals in the context of sustainable development." President Hollande said the Manila statement is a call to mobilise public opinion for a global climate agreement in Paris, with Manila a strong symbol of suffering and hope in the eyes of the world. He articulated the need to reach a comprehensive and binding agreement by all countries in Paris in order for the world to avoid the consequences of larger global warming and greater disasters. The purpose of the Manila appeal, said Hollande, is an appeal for justice, for greater fairness between developed and developing countries, between wealthy countries and poor ones, and between generations as well. He called on the fossil fuel and mining industries who have extracted resources from the planet now have a duty to act, and act for their children and grandchildren. For justice to be achieved the economy, technology and progress of science needs to be at the service of the protection and prevention of the destruction of our own planet, Hollande argued. This is why there must be an alliance found between both state and economic forces, NGOs and cultural forces. Hollande also stressed that the Manila call to action is also a matter of the imagination and invention, using the Green Climate Fund and the mobilising resources and allocating them in the service of development. He articulated that climate change will also provide opportunities in green growth. That we need to do better because we have no alternative. Better at renewable energy and energy storage, better at transport and planning and adapting our cities, better at imagining carbon free technology, and organising our taxes and competition between companies with a carbon price. Invoking the necessity of a new world and new forms of development, Hollande said the Manila statement is a call for nations to be more fair, more respectful, a world where each and every country will face up to it's responsibilities and act according to their capacity. A world with a new form of solidarity between wealthy and emerging countries, with an aim of a rainbow of human cultures. He stressed the need to shape the world over the next 300 days before the United Nations climate conference in Paris and called on all the Heads of State and Governments to do their utmost so that an agreement can be reached. Hollande made it clear it is not just a call for Governments to act, but also an appeal for the citizens, the youth, all economic stakeholders, academics and scientists, to commit themselves, get organised so that we can all rise to the challenge to defend this cause on which we can all agree: to avoid the destruction of the planet from climate change. 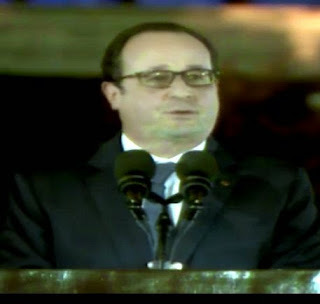 Earlier in his Philippines visit Francois Hollande articulated that the World faces a decisive choice on climate change. The visit comes as the United Nations issued a statement that with the Geneva negotiating text countries are on track for a Paris Agreement. In a related statement Christiana Figueres (@CFigueres), Executive Secretary of the UN Framework Convention on Climate Change said that a Paris agreement is just a start: "Paris will not solve climate change with the stroke of a pen, but it needs to put in place the pathways, policies and support to assist vulnerable countries like the Philippines to better cope with climate change." She also highlighted that to avoid an even more risk-exposed future, global emissions need to peak in the next decade followed by a deep de-carbonization of the global economy for climate neutrality and net zero emission economies in the later half of this century, "so that healthy forests, soils and other ecosystems like mangroves and seagrasses can safely absorb what little emissions are left." The Head of the United Nations Environment Program (UNEP) (@UNEP), Achim Steiner, also commented on the visit of the President of France to the Philippines and action on climate. “The visit to typhoon hit locations is a reminder that without further action to cut greenhouse gas emissions, the cost of building resilience will soar even further as wider and more expensive action will be needed to protect communities from the intensifying impacts of climate change, ” said Mr. Steiner. “Debating the economics of our response to climate change and the concrete actions that must be reflected in the new climate agreement must become more honest. We owe it to ourselves but also to the next generation, as it is they who will have to foot the bill," concluded Steiner in a statement on the UNEP Reliefweb website. The full text of the Manila Call to Action Statement is available from Rappler.com(en) and the French presidential website, elysee.fr(Fr) You can read President Benigno S. Aquino's official statement (en). (1) We, the heads of State of the Republic of the Philippines and the Republic of France, along with leading individuals from different countries committed to climate action gathered in Manila today, wish to engage the international community, all stakeholders and world opinion, on the urgency of addressing climate change seriously, efficiently, and equitably. (2) Less than a year ahead of the 21st Conference of the Parties to the United Nations Framework Convention on Climate Change (COP21) which will take place in Paris in December 2015, the outcome of which will affect the lives of billions of people, we call upon the international community to conclude a universal, equitable and ambitious climate deal, in line with the specific recommendations set out by the Intergovernmental Panel on Climate Change, to preserve our planet as a livable place for future generations. From Manila today, we hope to make history together in Paris in December and not simply watch history unfold. (3) We call for climate action. (4) As we meet in the Philippines, where people have endured an unprecedented series of extreme weather events in the last few years, we are reminded that while the developing countries have contributed least to climate change, they are the ones that suffer the most from climate change impacts. While we face similar threats and shared vulnerabilities, we have also varying strengths and capacities to address these challenges. However, we believe that our vulnerabilities and exposure to climate-induced hazards can be reduced. In the face of these, the people of the Philippines have shown extraordinary resilience. (5) We call for climate solidarity and justice. (6) We need an agreement negotiated and accepted by everyone and for everyone, an agreement that takes all differences in situations into account, and aims at bridging varying perspectives to hasten collective action. We need an agreement that reduces emissions, creates economic opportunities and equips us to manage the associated risks that are already locked in the foreseeable future. (7) We call for climate cooperation. (8) Economic growth, poverty reduction, and sustainable development can and must be achieved together. But ensuring equitable access to sustainable development for all will require enhanced means of implementation. (9) We call for financial and technical solidarity. D. Everyone to echo this appeal to raise awareness of the urgent action everywhere, and reach a successful global climate change agreement in Paris.